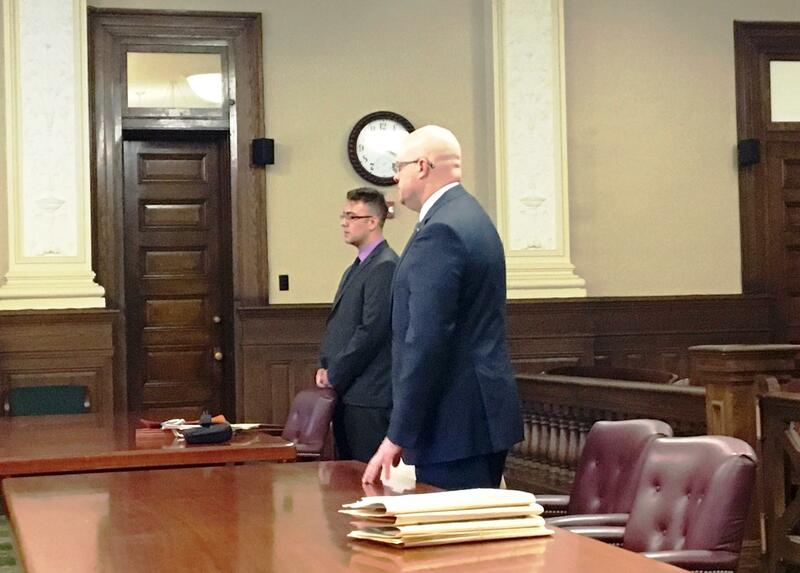 Christopher Neumann of Castleton and Rensselaer County DA Joel Abelove in court, August 13, 2018. 27-year-old Christopher Neumann of Castleton was sentenced Monday morning at the Rensselaer County Courthouse. In the wee hours of March 4, Troopers Shane Swartz and Brent Karow had responded to a vehicle crash along Interstate 90 in East Greenbush. Authorities say the troopers had set out flares, closing the left lane. Neumann's vehicle hit the troopers' car, glanced off it and then struck the troopers and tow truck owner Jeffrey Waite Sr. In June, Neumann pleaded guilty to vehicular assault and driving while ability impaired by drugs and alcohol. In court Monday, Waite gave a victim impact statement, saying the crash took everyone by surprise, and his injuries now prevent him from living a normal life. "I cannot hold or play with my grandchildren like I used to. I cannot do the work my business provides without someone's assistance. I cannot dance with my wife like we used to, something we always enjoyed. 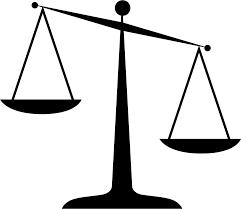 I cannot lift heavy objects or complete tasks around my home without the assistance of others. I cannot drive a long distance, making it difficult to drive our motor home to go on vacation. I'm self-employed, and financially, Mr. Neumann's bad decision has had an immense impact on my business and my family."" Neumann's attorney characterized him as a good person who made a tragic mistake. Neumann expressed remorse before Judge Debra Young... "It was my fault." He was sentenced to serve 2-6 years in state prison and led out of the courtroom in handcuffs. Rensselaer County District Attorney Joel Abelove: "There's really no amount of time that's going to make these victims feel as though justice has truly been done. Their lives have been altered immeasurably and forever. Two state troopers who were just out doing their jobs and a tow truck operator who was with his brother there at the scene got blasted by a guy who'd been drinking, smoking marijuana and taking prescription medication all at the same time and it had a horrific and tragic result. You heard that remorse from the defendant. I'm glad to hear that he takes full responsibility for his actions. But his actions destroyed three lives and their families lives. You heard Mr. Waite talk about how he's probably never gonna be able to work the same way again, how he's never gonna be able to hold his grandchildren again." Abelove says Trooopers Swartz and Karow are still recovering from their injuries and have not returned to work yet. The DA had strong words for people who choose to drive while in an altered state of consciousness: "I'll say the same thing that I say over and over and over again to every victim impact panel that I attend and speak, to every high school group that I speak, to everybody who I speak to whenever we talk about this issue is 'just don't do it.' Make the decision before you start drinking, or doing illegal drugs as Mr. Neumann did by smoking marijuana on top of the drinking. Think about what you're gonna be doing before you do it. If you're gonna engage in that conduct, get a ride. And I know Mr. Neumann certainly wishes that he had made a different decision. But I would tell everybody out there you've got to make smart choices before you get behind the wheel, because once you start taking these substances, your judgment goes out the window, and you end up thinking that you're okay to drive and you're just clearly not." Last week, Abelove accepted the resignation of assistant Rensselaer County DA Seamus Donnelly, who had been charged by Guilderland Police with driving while intoxicated. Abelove said the DA's office has no tolerance for drinking and driving, adding he wishes Donnelly "all the best." An Albany police officer has pleaded guilty to drunk driving and plans to resign from the force. 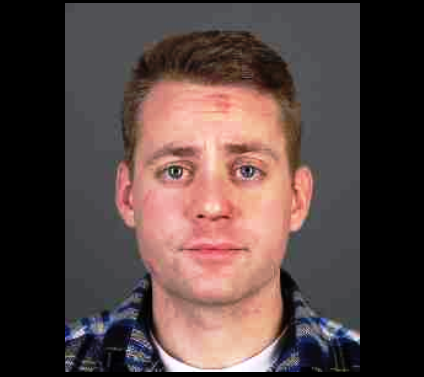 Authorities say Shawn Dixon was intoxicated when he crashed his vehicle into a utility transformer near Park Avenue and Eagle Street in Albany around 5 a.m. on December 20. Albany County held its annual crime victim "Ceremony of Remembrance" today.